Dads, brothers, sons, nephews, grandads, uncles – Bowel Cancer UK, the UK’s leading bowel cancer research charity, needs you! 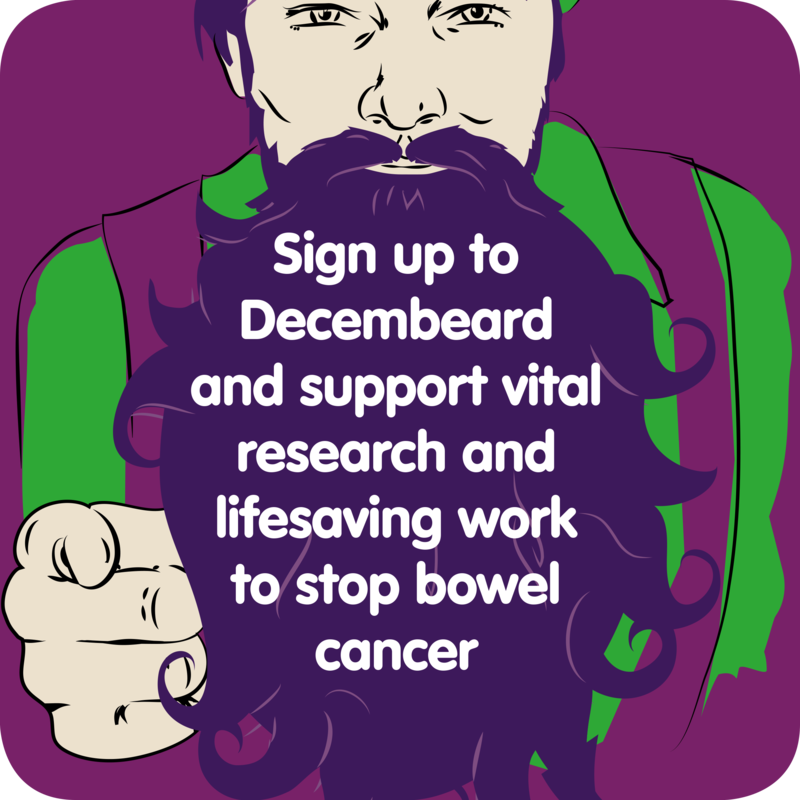 It’s that time of year again when the charity asks men across the UK to grow a beard throughout December raising awareness and money to support vital research and lifesaving work to stop bowel cancer. 50-year-old Richard Lupton has taken part in Decembeard in previous years and knows how devastating bowel cancer can be. “I was diagnosed with stage 3 bowel cancer after experiencing a change in my bowel habit. A few weeks later I had major surgery followed by six months of chemotherapy, and was told that I had a 99 per cent chance of a secondary cancer. However that proved to be 100% wrong and now I’m a cancer survivor but there are many people who don't have my good fortune. So that is why I decided to take part in Decembeard and would thoroughly recommend it.